I was browsing Pinterest at a client’s office recently (it’s a fashion retailer, Pinterest might be important soon, so it was work related), and discovered that yes, people actually use Pinterest. They have pinned several of the photos from the clients web properties, such as the corporate page and it’s sister site, the blog. 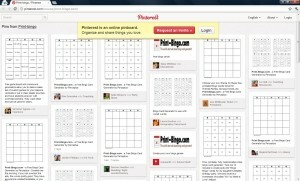 And, apparently, some have pinned my own favorite blog topic, print-bingo.com. It’s kind of neat. Personally, I reserve the word “awesome” for truly spectacular things… I can only hope that the people who used the word in their pin comment are equally choosy. 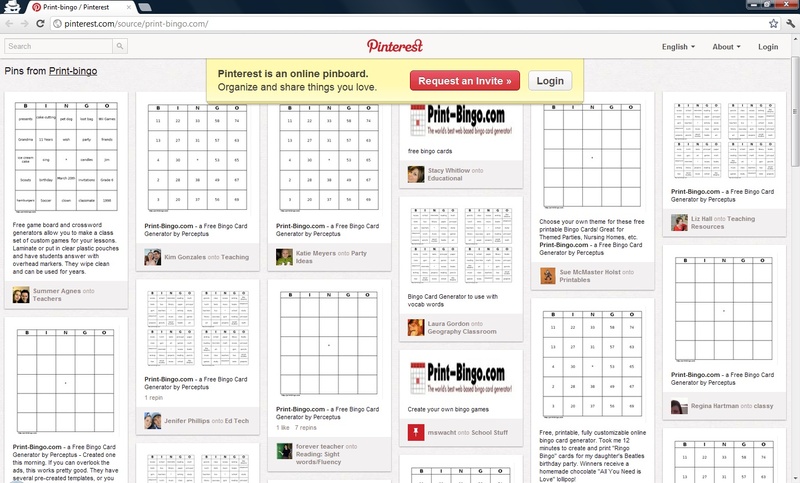 You can see the current print-bingo.com pins on pinterest. If you like our custom bingo card generator, print-bingo.com, please pin us too. Or like us on Facebook. These words… they’re loosing all meaning… let’s hope the next social media phenomenon isn’t called “bonk” or “nuke” or “punch”. BTW: We passed 1K likes recently! Actually, we’re at 1.1K right now.